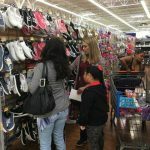 Our Mission: Assistance League of San Bernardino is a non-profit organization whose volunteers enrich the lives of children in need by providing school clothing and general dentistry services. Assistance League of San Bernardino is an all volunteer, 501(c)(3) nonprofit organization that puts caring and commitment into action through philanthropic programs in the city of San Bernardino. Member volunteers are dedicated to ongoing support and a long-term presence in the community through hands-on involvement and innovative philanthropic programs. 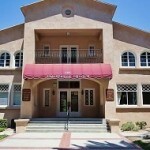 The San Bernardino chapter was organized in 1940 as the Toy Loan League by a small group of women. On December 5, 1947, we became the ninth chapter of National Assistance League. Our first President was Mildred Curtis. There are 120 Assistance League chapters in 26 states with just under 23,000 members. In 2013-14, Assistance League chapters returned over $38 million to local communities across the country and invested ~3.34 million service hours. In 1948, the Assistance League of San Bernardino accepted the invitation of a group of dentists to assist in organizing and sponsoring a Children’s Dental Health Center. In April 1949, the Dental Center was opened in Municipal Auditorium and the Toy Loan Library was discontinued. Today the dental center is known as the Dr. Earl R. Crane Children’s Dental Health Center and sees over 900 children per year, with a full-time dentist and two dental assistants. In June 1952, the first annual Starlight Ball was held as a major fundraiser at the Arrowhead Springs Hotel. The Starlight Ball has transformed into the Headdress Ball, and continues to be the primary fundraiser each year. A Dental Hygiene Program has been offered since 1970. The program is far-reaching and does make a difference in the health habits of our patients. 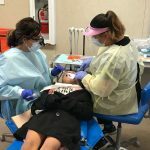 The Oral Hygiene program is staffed by member volunteers that visit all of the kindergarten classrooms in each of the 49 elementary schools in the San Bernardino City Unified School District.